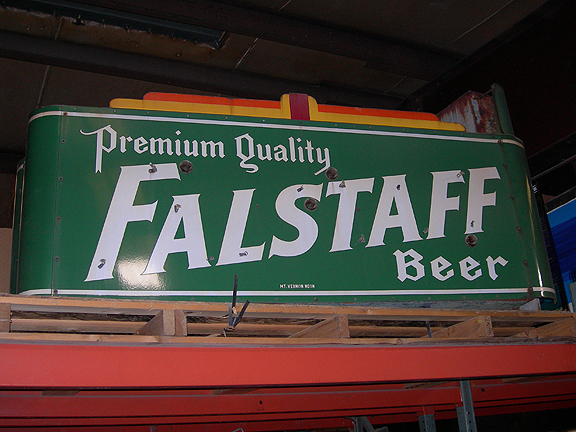 description: A large three (3) piece Falstaff Beer porcelain enameled neon sign. Two (2), 87" side signs connect to the single front sign, 58.5", forming a marquee. All exposed edges have porcelain corners and the top side edges have a deco element. information: The front sign has the Falstaff shield and the sides have Premium Quality Falstaff Beer.